Tera kaun wicahara hoe! Dullah bhatti walla ho! Dullahe di dhee vyayae ho! Ser shakkar payee ho! Kudi da laal pachaka ho! Kudi da saalu paatta ho! Salu kaun samete! Mamhe choori kutti! zamidara lutti! Sipahee pakad ke lai gaya! Sanoo de de lohri te teri jeeve jodi! My grandfather would give me the traditional 500Rs and my sisters 500Rs, and my beautiful sister would always give her share to me… so I would have a 1000 to start with… the other one is a miser and doesn’t love me that much ch ch ch ch 😦 So she keeps her money. Dullahe di dhee vyayae hoye! Those were some sweet reminisces. Its Pongal in South India. As kids, we burnt all old things on first day, that is on 13th, and the next day was the D Day, new clothes, sweets, sugar cane…But now, its all lost. Fast life, any spare time, sleep….zzz….Happy Lohri 🙂 Have fun! Happy Lohri!I didn't know that festival. It must be a very joyful festival.Here in Maharashtra (India) we have the Makar Sankranti on the 14th Jan.I think both are similar festivals. Nice!! 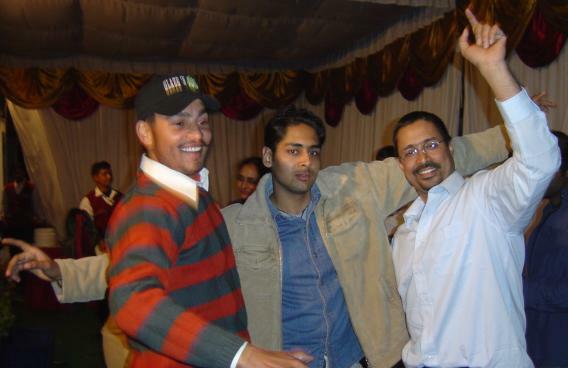 ..lohri..gedi..u had all fun..thats how lohri is celebrated in punjab..but u remember the song so ..well !! !I am surprised…happy lohri to you as well.. 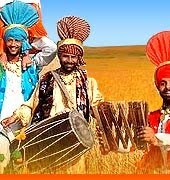 Happy Lohri to all our friends living outside the country.God bless. Wish you and your family a very happy and prosperous new year.Thanks a lot for visiting my blog and for your lovely comment. I will definitely post some non-veg recipes and you can go through all my previous recipes in which non-veg recipes are also there.I liked your blog very much. I appreciate for your wonderful post. I have become your follower so I will be visiting your blog hereafter. Wow.. that was such a wonderful post 🙂 reminds me of all the festivals that I spent with my family. Happy Lohri to u btw 🙂 and to everyone else! !GOD BLESS! !